I absolutely love Christmas for so many reasons but one big one has to be gathering the family together and sitting down to enjoy a festive movie together. I loved family themed Christmas films before I even had children but now they are so much more special because I can see how excited my kids get watching them. 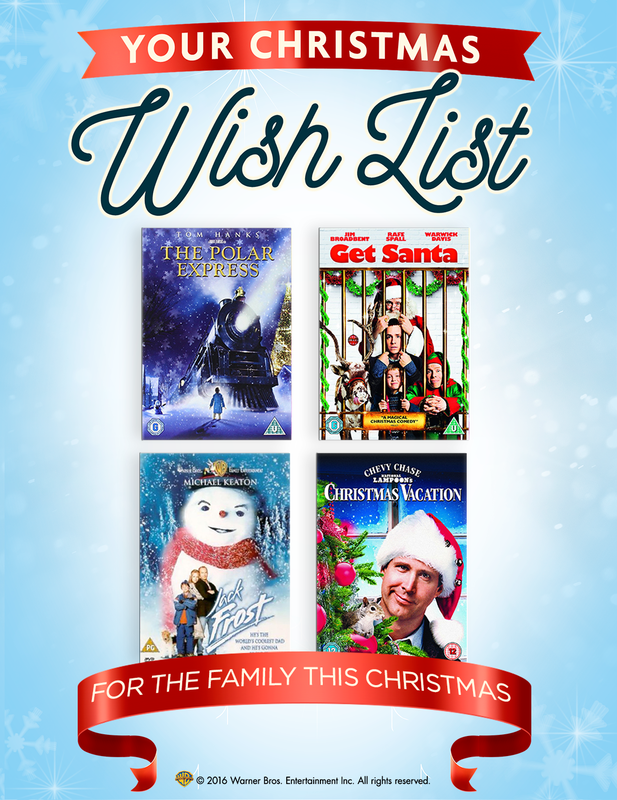 Warner Bros. has a fantastic selection of favourites to get the whole family in the Christmas spirit. I think everyone has to have seen this movie at least once in their life! If you aren't familiar with the story, a young boy who is doubting the existence of Santa Claus embarks a train to the North Pole. The journey is full of adventure and he receives a gift that only those who truly believe can experience. The way that this movie has been filmed and animated is absolutely incredible, I've never seen anything like it. It's worth watching just for that - and to see Tom Hanks in six different roles! In this movie, a six year old boy discovers that Santa has crashed his sleigh into his parents shed. He gets his dad to help get Santa back to Lapland in time for Christmas but unfortunately his reindeer have escaped and are running around London. This is a film full of laughs and definitely one to watch if you're after something funny and light hearted. This is an oldie but a goodie! In the third instalment of the National Lampoon movies, disaster-prone dad Clark must survive Christmas with his in-laws. Of course, not everything goes smoothly and there are tons of gags and humour along the way. A proper dysfunctional family movie. This is one of my favourite Christmas movies as it's just so magical. Michael Keaton stars as a man who is in a car accident and comes back to life as a snowman. In life, Jack (Keaton) doesn't spend enough time with his son so when he is a snowman, he tries to make up for lost time. It's such a heartwarming movie and a must-watch this year. Do you want to win a copy of all four of these movies? Check out my Twitter competition!